My last memory of Rachel took place the day before she left for St. Maarten. It was the first day in who knows how long that it was sunny, but it was also windy and very cold. I was standing in the sun while waiting for the bus, pointlessly trying to warm up, when she walked up to me to make fun of my pathetic attempt to not be as cold. Like every other time, her laughter was warm and welcome. We only spoke for a couple of minutes; our conversation that day was very much like those we had all summer when I would see her working on her front porch on my way back and from campus while studying for quals. I will always be grateful for the memories of our friendship, however short, and her warm, contagious laughter. Rest in peace, Rachel. It’s comforting that the memory that comes now is the knowledge that when Rachel was listening to you, you knew that you were really being heard. And that she cared, even if it was something silly as a joke, or the relative age of individual pieces of candy in the enormous bag she kept handy. I can remember several times when we would be sitting down here in the Maxwell basement kvetching about something, then one of us would look up, and we’d both start laughing. Rachel was the person who taught me how to use my cane properly! After several years and several surgeries, it was Rachel (not the doctors) who came up and said “You know, it should be on the opposite side. Really! Try it; it’ll work. Only took me six weeks to figure that out.” I laughed, but the thing is, she was right! Such a wonderful gift we had, to have had Rachel in our lives. Thank you, Rachel, always. I only knew Rachel for several years and then only while volunteering at the food pantry, but she left a lasting impression of how friendly and caring she was to her peers but to those in need. She will be missed by many whose lives she touched. Andy and Linda, We cannot imagine how you are feeling on this Resurrection Sunday with part of your heart already on the other side. All we can send is this: “My only comfort in life and in death is that I am not my own but belong body and soul to my faithful Savior, Jesus Christ.” We didn’t know Rachel well but we were blessed by her life in the short moments with her. We are praying for all of you. My sons and I are so very sorry to hear the sad news of Rachel’s death. I only knew Rachel as a six year old and a first grader, living at Mt. View Hostel. I (Aunt Mary, her housemother) remember that Rachel was a sweetie, who adjusted quickly and well to hostel and school life. 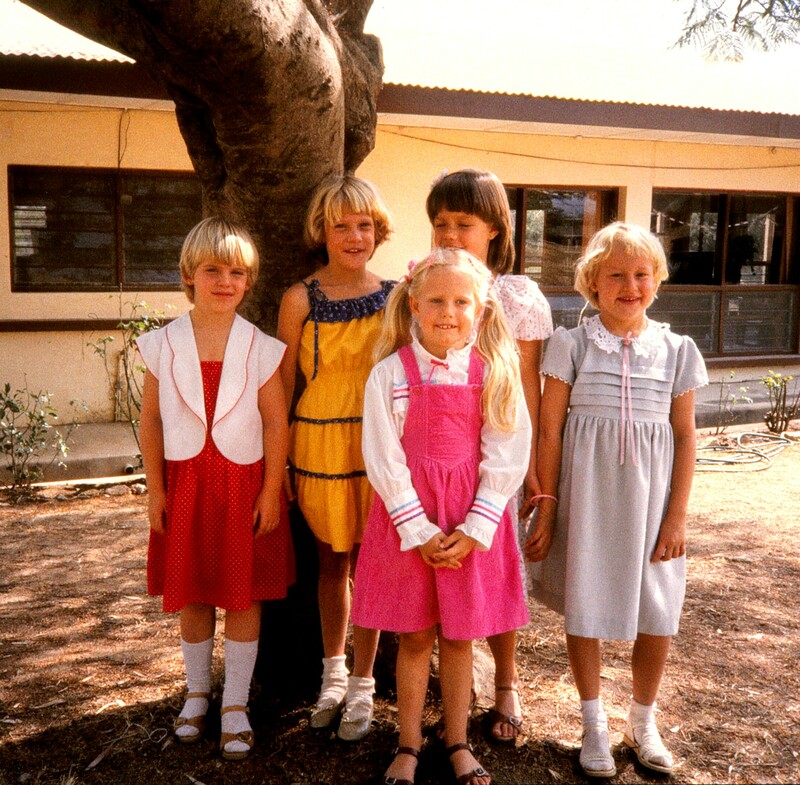 The picture posted here was taken Dec. 1985, with Rachel on the far right. We’re praying that all the Horlings family members and spouses may experience God’s grace and comfort in this very difficult time in your lives. Rachel and Al are my next door neighbors. She was everything I loved about this neighborhood, this house, where I live now. She was Victoria place, Allen st. Sometimes I’d look out my window and see her or al on the computer or I’d surprise her watering her garden out by the back porch. She always made time, no she didn’t make time, it flowed forth from her, she was giving, loving, caring whether you were or not, whether you had time or not. She was goodness, she cared about the earth, or maybe our children, or maybe just you or I so much that she reused everything, and didn’t waste anything. To this day I wash my to-go containers and reuse them. The very last night she was in town she borrowed some Gatorade bottles I had been reusing. You two were stronger in faith than I (maybe similar in spirit), but in faith you both taught me to appreciate every thing as a gift, every person as a gift of their presence, and i continue to appreciate everything today. Al, I love you and Rachel I love you too. I never told you guys but its you (and your spirit) that I love about where I live. Al I only hope you’ll give me the chance to learn all there was to learn about you both through you. Every minute I had w you and Rach has made and is now as I read these stories, making me a better person. And for that I thank you. I can’t promise I won’t still greet you everytime I get home Rachel, ill say it as bowser greets me w Edgar in tow, or tripod yells at me to put her down (then returns next time I get home to be picked up). 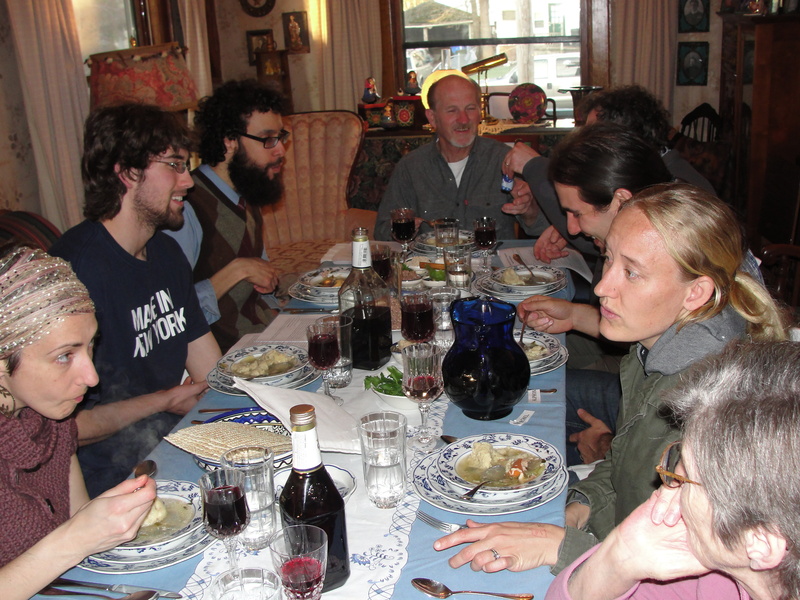 My family and I have had the good fortune to see Rachel and Al at Passover Seders for the past couple of years. I’ve always looked forward to catching up on their travels and research. And it’s been wonderful to see them together, so comfortable and happy. Al’s fantastic performance as the adult Moses in our annual reenactment always put a smile on everyone’s face. Rachel’s readings in the Haggadah were so intensely beautiful, it was like listening to poetry. I also really enjoyed the flip side of her personality- that refreshingly skeptical look she’d give- so genuine. I’m sad I’ll not get to know her better. My deepest sympathies to you Al, and to all those lucky enough to love Rachel. You’ll be in our thoughts and prayers at today’s Seder. I was fortunate to meet Rachel when we both worked at the Southeast Archeological Center in Tallahassee. She was a great co-worker and friend. 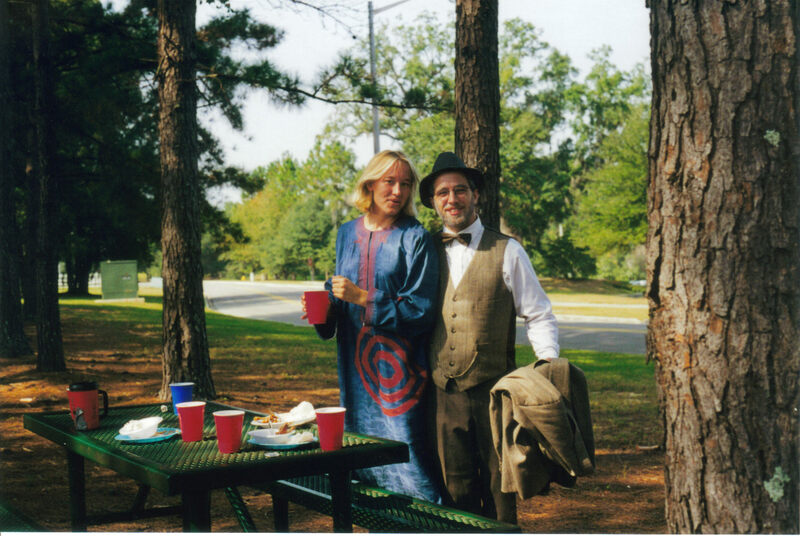 Here is a photo from Halloween 2000, of Rachel in a Nigerian outfit, along with another student worker, Brian. I am amazed by reading these comments at all the people Rachel has touched all over the world. She was a very special person and certainly knew how to make friends no matter where she was. The congregation of Inglewood CRC (Edmonton, Alberta) expressed its sorrow and pain when we heard of the circumstances of Rachel’s death. We grieve for you as parents and empathize with you regarding all of the unexpected tasks that have erupted in your lives.We include you and Al in our congregational prayers on Sunday mornings. We implore God for his comfort and mercy in your lives. Dear Andy and Linda and family, our thoughts and prayers are with you as you grieve for Rachel. Shocking and sad! Words fail us. May you and your family be comforted in God’s care and strengthened by His promises in your sorrow. I remember this exact moment! and never modernized) did not have air conditioning. I was very warm and sweating, and whispered this to Rachel as I was fanning myself with the wedding program. Rachel chuckled, said she was chilly, and showed me her arm which was covered in goosebumps! 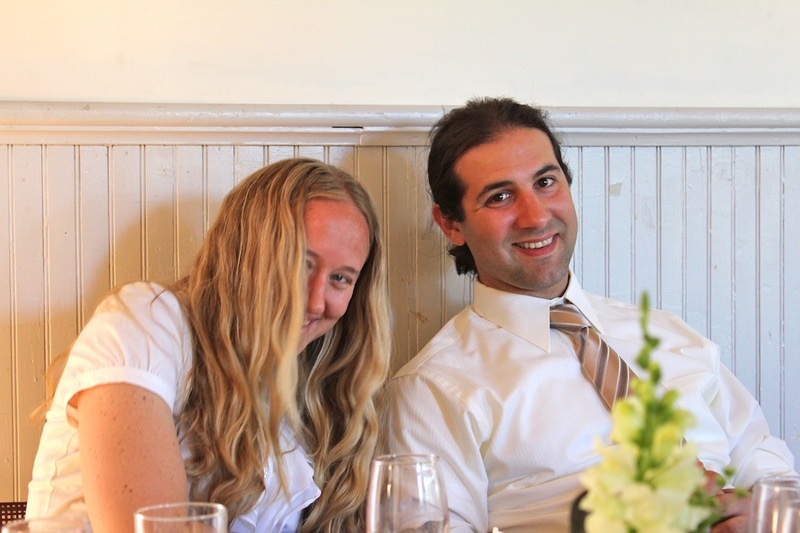 Brent and I love this picture of Rachel and Al, which was taken at Robbie and Emma Lingo’s wedding reception; Madison Hall in Morrisville, NY on June 23rd, 2012. 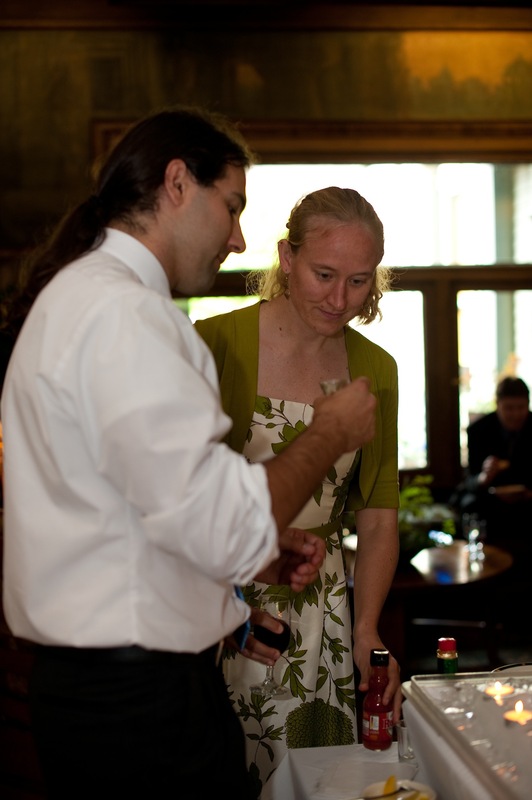 Here are Rachel and Al at Brent and I’s wedding reception in East Aurora, NY about to enjoy some oyster shooters! Al was an usher. June 11th, 2011. Here is the picture to go with the above text. 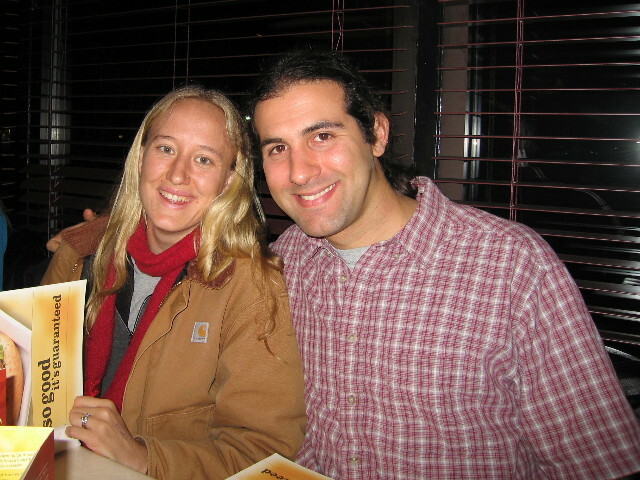 I met Rachel in Aug 2004. It was during my Summer holidays, the last Summer holidays before graduation and a paid job. I was backpacking in Turkey at the time and on my way to Truva, the site of the ruins of the ancient city of Troy. In spite of its status as UNESCO World Heritage site the place is not overly popular with tourists (the ruins are not too well-preserved and devoid of any wow factor) so much so that to get there you had to catch a bus to somewhere else and ask the driver to drop you off by the side of the road, near the intersection. Then either walk a few kilometers or get a taxi or dolmus (little vans used as share-taxis that are popular means of transportation in Turkey). My friend and I got off the bus first, and to this day I can vividly recall the moment I turned to the little open door and saw Rachel coming down the stairs smiling to us. After sharing a taxi ride – I remember I was impressed with her negotiating a price with the driver in the few words of Turkish she’d learned – we ended up spending a few days together. We traveled by dolmus from Truva to Canakkale and took a ferryboat to Eceabat on the opposite side of the Dardanelles strait. 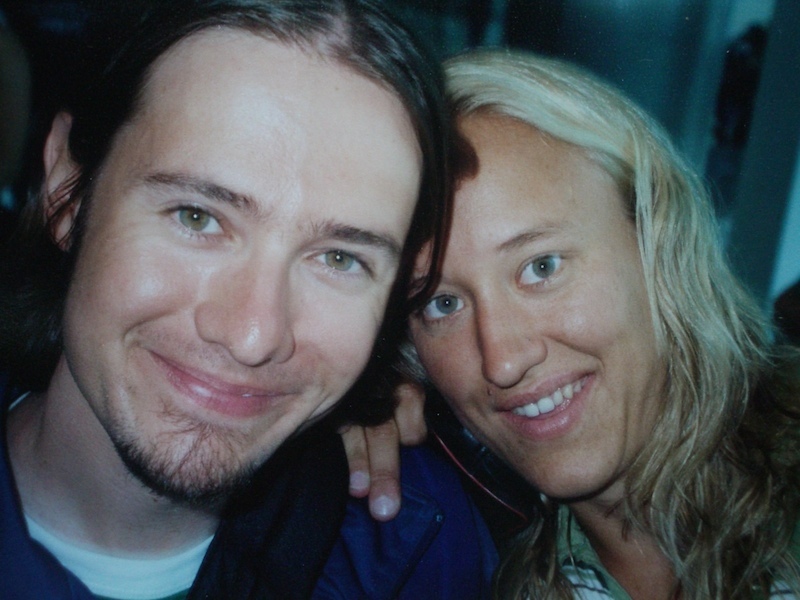 Two nights later we took a bus to Istanbul where I was to meet with a local friend of mine. We all ended up staying at his place, visiting that amazing city, trying smoking peach and apple-scented tobacco in waterpipes, sharing stories and laughs over meals, and more stories and laughs over the ever-present hot chai tea. It was fun. Those days were everything I had dreamed my little adventure in Turkey would be. Except, halfway through, the realization that Rachel would be leaving soon on her flight back to Florida started sneaking up on me. By then, in what was truly a matter of just a few days’ time, Rachel had become such a familiar presence around us. I couldn’t help feeling, selfishly, a little sad at the prospect of her leaving. Ever the caring, compassionate and sensitive spirit that shines clearly through the lines of these comments, there was no hiding it to her. I remember her asking me, one night on the way back home – what must have been a couple of days before her flight: “Penny for your thoughts?”. I don’t remember what I said but I know I wasn’t honest. I thought it would have made things awkward between us and I didn’t want that. Only, of course she could read me like an open book. It’s a testament to the wonderful, generous person that Rachel is that the next morning she stopped at a travel agency and made a last-minute attempt to rebook her flight. I’m sure the idea of spending a couple more days exploring Istanbul seemed not entirely unattractive. But I know for a fact that she did it for me as much as she did it for herself. It wasn’t to be. On the morning of her departure she dozed off on my shoulder as we all rode in a taxi to the airport to see her off. I remember she felt that she was about to come down with a bout of malaria and was hoping she could make it home before it got too bad (she did!). When we said our goodbyes she gave me a hug, got her camera and took this mug shot of the two of us. Through the years we wrote letters and emails and postcards at several points in our lives. Hearing from Rachel would always put a big smile on my face, just like the one in the picture. I treasure our friendship the way you do with something special and unique, and I’ve always hoped we will meet again some day. Al, Linda, Andy and all of Rachel’s family and friends, I struggle to find words to express how sorry I feel for such an incommensurable loss. I’m sending out a big, collective hug to all of you. Francesco, a friend of Rachel’s. I met Rachel briefly, when she was kind enough to housesit for me at the last minute. Upon my return, I expected to be greeted by my dog Boo at the door – jumping on me, trying to steal kisses, the typical happy dog welcome. Nope. Where was Boo? In the bedroom, sleeping with Rachel, both of them under multiple blankets. I left Syracuse shortly after, but I never forgot how much Boo adored Rachel and always marveled at it. Reading these comments here, it’s clear that everybody loved Rachel. My heart is very heavy. Condolences to all. in Tennessee. We were very close then, and she has always remained important to me, although I have rarely seen her. As others have said, she was a great texting friend when the mood struck. I was particularly thrilled when she came to my wedding in 2008, and in true Rachel style she spent most of her time here helping out. I was also so happy to be able to come to her wedding in turn, to meet Al and much of her family, and only wished I could have helped the way she did for me. Whenever I saw her it was as if no time had passed at all. The hugs were as warm as I remembered; the eyes just as shining bright. I always assumed I had forever to reconnect with her, and that the passing of time was meaningless. Fearless Rachel’s friendship was an immortal fortress I could walk back into at any time. I have had a hard time writing even these fragments of my memories of Rachel, because until so recently, she was like a North Star to me – something permanent and lasting that one might navigate by. Since we are both professional archaeologists, I thought I might see her at conferences for my entire life. I took her for granted and deeply wish I had not. Now I feel foolish mourning someone I had barely seen for years, and it embarrasses me to put my words alongside those of people like Al and her family and closest friends, who were always there for her – but she was Rachel, and she was special, and maybe my memories will help someone else to remember her well. I remember her, in 2002, as always loving soccer and dancing despite her ankle. When the ankle bothered her we played volleyball (slowly). We rode bicycles through overgrown miles of the Battlefield Park, watched movies (including my first drive-in theater), dressed in silly costumes, went out to eat, ran through corn fields at sunset and watched bats fly in the humid Tennessee evenings. I drove her to church, ashamed by my shabby archaeologist clothing. She wore sun dresses and laughed kindly at my worries. She was a hard worker, and skilled, even then – maybe a little amusingly overconfident, and bossy sometimes! With only the best of intentions, of course – but she knew what she was doing and would only get better. I learned a tremendous amount about Nigeria and her family. I have spent the last five years as an Anthropology professor using Rachel and her stories as examples in my classes. When I was out with her, the thing that amazed and moved me most was the way Rachel dealt with strangers. I am – or was – unfriendly and terse with outsiders. 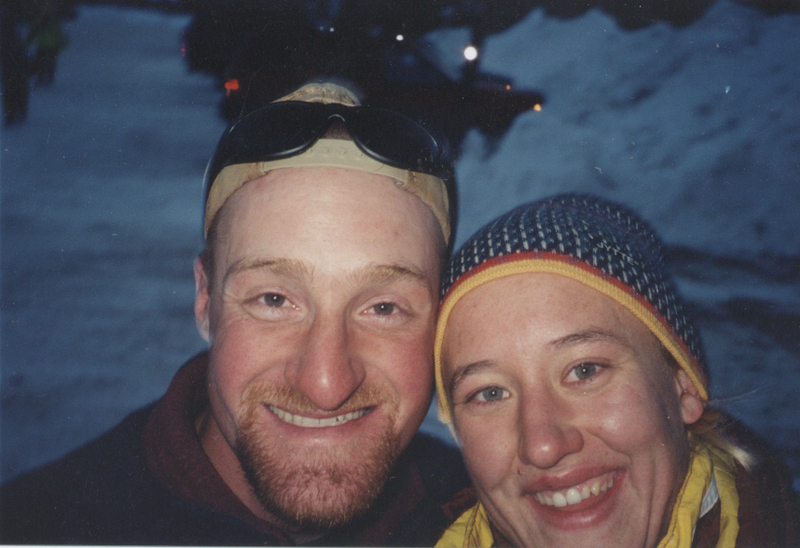 Travelling with Rachel was like carrying sunshine in a handbag. Every shop owner, every Dairy Queen counter employee, every street maintenance worker that happened to make eye contact with her ended up telling us about themselves and sharing a moment of kindness, even if I knew Rachel was not in the best mood. I have tried to live by her example in this way for the last decade, and the world has been kinder to me for it. I thought of her as an angel. I never knew why she bothered with me. Reading these letters and memories from all of you, I know she was just that good to everyone. When we were separated at the end of that summer, we wrote letters, and they were amazing too. I have never been a man of faith, but seeing God through Rachel’s eyes was the only moment in my life I desired religion. She never tried to convert me. She merely lived a beautiful life in her love of God. Have you ever had a friend that somehow seems to get the pulse of your heart, sometimes even when you can’t understand yourself? Rachel was that kind of friend… A kindred spirit. I obviously join many, and count myself lucky, to have known Rachel. Talk about someone who was fully alive! There is no doubt that Rachel was passionate about what she put her hands to. Her spirit was contagious and inspirational! I met Rachel about six years ago through mutual friends and we attended church together for a time. The last two years we have both been busy and traveling and haven’t seen each other as routinely as time past, but inevitably one of us would reach out with a check in. “How you be?” or “How b u friend?” would pop up on my phone. Within a day or two we would be catching up over a cup of tea or glass of Shiraz, depending on what crippled state or not so crippled state my dear friend was in, (that and the season of “snow or not snow”), would dictate if we would also go out for a walk, often down to visit “Miss Shirley” on Miles Ave before she moved. 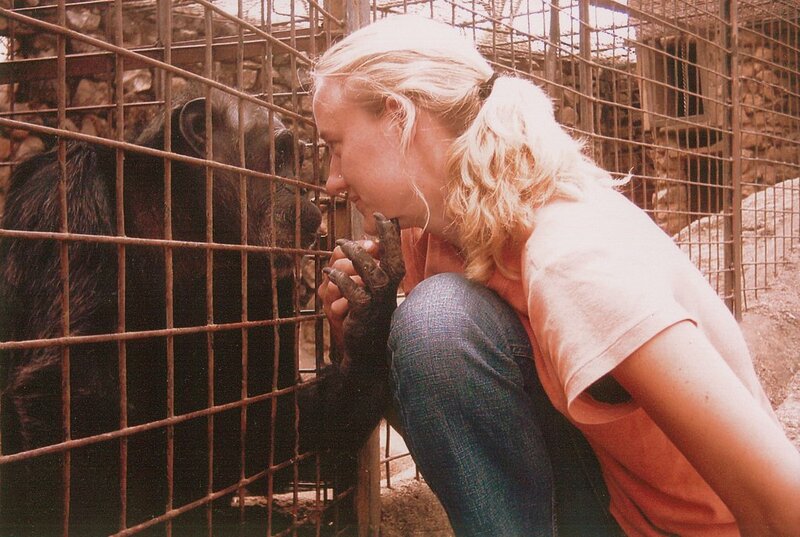 I saw Rachel’s passion for Africa in a personal way when two years ago I went to Sierra Leone, West Africa for four months. The friend from home I heard from the most was Rachel, routine emails and genuine curiosity about my time there and all that was going on. She defended her thesis a week after I left… I was sad to miss the occasion! Throughout the week words have been popping into my head to describe my dear friend – Unpretentious, bold, hard nosed, stubborn, unapologetic, kind, genuine, real, caring, giving, passionate, uninhibited, and faithful. She was most especially a lover of God, others, and truth. Rachel was a friend that often challenged me when we were together, she bore burdens with me through some very tough times, and it’s in her death that I feel just as challenged to look at what kind of friend I am to others and what kind of imprint I will leave on the world – she has set a high bar! I was lucky enough to meet Rachel while she was working on the Clarence insitu preservation project here in Australia last year. Rachel and I quickly became friends when we realised we shared so much in common. 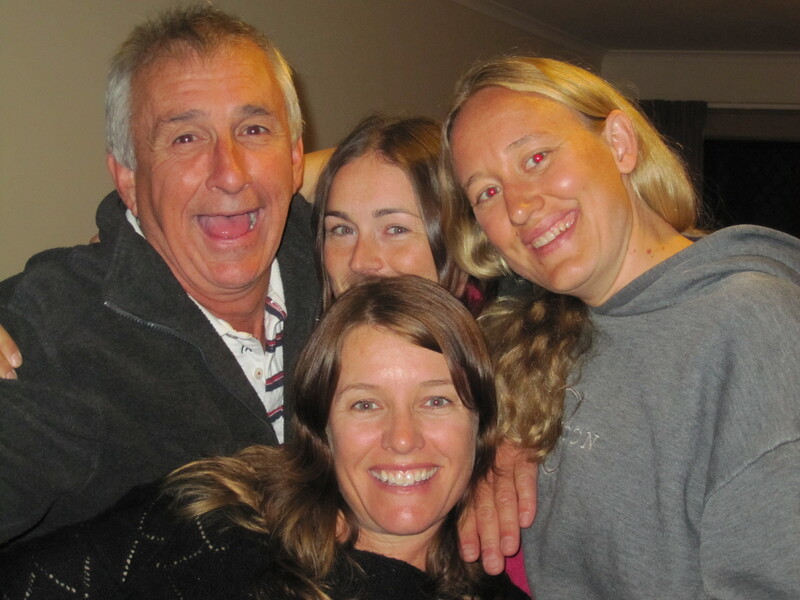 The team at Heritage Victoria (Peter Harvey, Rhonda Steel and I) will very much miss you Rachel. Thank you so much for being part of our lives (even if it was for a short time). You will be missed by never forgotten here in Australia. I was able to be in touch with Rachel just a month ago. She had come forward a year ago as a committed angel to support the work I am doing to bring relief to some of the under privileged need zones in Nigeria. At times it can be so unbelievably daunting to be called to such a rigorous task in a place that you love so much. The pain of those suffering in relation to your ability to provide any kind of relief. Rachel was able to feel this love and dedication to her homeland as well as the necessity to act upon her inclinations to support. This sensibility is something that was deep in her. Something placed in her by God. That is something highly unique and a remarkable thing to withhold. You can see it just by looking at her face. It is so deep in her that it shows upon her face, her expressions, and of course her actions. I am so glad I was able to be affected by that loving quality in her. I am proud to know that many were and will continue to be. She was younger than me at Hillcrest but it does not matter what age a person is in relation to commonalities through school, homeland and love for God. When there are that many ties to a place in the world it is evident that something special has been placed in our hearts. Not all speak of it, but I know the majority can feel it. We are one in spirit and she will always bring light into our lives. Her legacy is an outspoken testament of true friendship, dedicated passion for her work and her God, and a massive love for her stomping grounds in Mama Africa. As sad as I am in the loss of Rachel, it warms my heart to see so many ways that Rachel has touched so many lives. I knew Rachel for ten years or more, mostly from conferences and meetings, and more recently as a colleague at Syracuse University. My dissertation work was also in Ghana, and Rachel was making important contributions to our fledgling maritime archaeology program there. 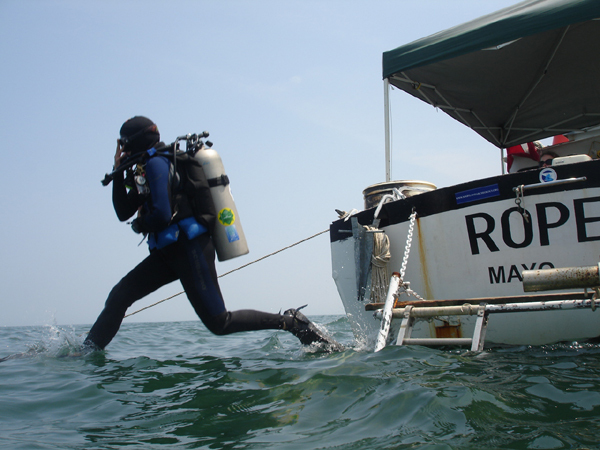 I am sorry that our field projects never coincided– I would have loved to have worked and dived with Rachel in West Africa. I have to say that one of my most favorite memories of Rachel is of the time I spent with her and Al when I was at S.U. defending my dissertation. We met up in their apartment, played with their cats, and had a great visit before going out to dinner with friends. It was wonderful to see how happy she and Al were, and how much they loved each other. My condolences go out to Al and Rachel’s family– she left us far too soon, but her memory and impact will be far-reaching. June 2009. Anyone who is a certified diver will know that she is performing a simply flawless, textbook “giant stride” entry. She was such a skilled diver and archaeologist in addition to all the other wonderful qualities she had. In my opinion the above quote captures the essence of Prof. Horlings. I had the great pleasure of taking Prof. Horlings’ Archeology Beneath the Sea course last semester, which I thoroughly enjoyed. Dr. Horlings was not only an amazing teacher, but a wonderful and caring person. Shortly after learning of Prof. Horlings passing I saw a bumper sticker on a car that read “Live the life you love” even though I only knew her for a short time it was obvious that’s what she was doing. Al, please accept my deepest sympathies, my thoughts and prayers are with you and your family at this difficult time. We are so sorry to hear of the sad news of the death of your lovely daughter .Our pastor announced it from the pulpit yesterday at Crosspoint CRC. We are all grieving with you. We prayed that our God of mercy and love will surround you with his comfort. Joan and I continue to lift you up in our prayers for strength and trust that God will see your through this” valley of the shadow of death” The psalm also says that ‘Surely goodness and mercy shall follow (you) all the days of your life”. We have read much of Rachel’s web info. What a gall! What achievements! What a loss! What a pain for you , her husband and your family! In her short life it is evident that God used her to His glory and honor. With Christian comfort, Joan and Peter Schaafsma, Brampton, ON, Canada. I only met Rachel very briefly, while I was working with the Syracuse church this summer. In the short time I got to know her, I was impressed with her warmth and humour, and looked forward to getting to know her better. She had a vivacity, humour, and strength which I deeply admired. Her death is a shock, and I am sorry that I will not be able to spend time with her in this life. I pray comfort and grace for her husband and family. May the God of all peace be with you. Rachel was a fun, cheerful, intense girl and it’s obvious it carried over into her adult life. It’s a sad and tearful time, and my thoughts and prayers go out to her family. May they truly experience God’s comfort to deal with this. at the LAMP field school. While we only worked together for a few months, I can honestly say few people touched my life so deeply in such a short amount of time. Her intelligence, compassion, and humor made the world she occupied a better place. I think the story I would like to recount is one of Rachel’s faith. I am not a particularly religious person but her honest and profound faith affected me. I remember clearly sitting on the back of the work boat M/V Roper discussing her background. She told me of the missionary work she and her family had done. It was work that I was very impressed by and told her so and that I would love to be able to affect people’s lives in the positive way she had. We fell deeper into a discussion about her faith. I remember clearly asking her how she maintained her faith in a field that could oftentimes be condescending towards religious views. She responded that she was accepting of people and their views. While she would love to impart her story to anyone interested, she did not push her faith upon those who did not want it and that she was comfortable in her beliefs enough to not let detractors bother her. While these words told an interesting and compelling story it was her presence that told more. I could feel certainty and peace with what she believed. It was a strength that added to her other qualities, a feeling that, while she was compassionate and accepting, she was impervious to the pettiness of others. I am still not a very religious person but I am certain, like I am certain the sun will rise tomorrow, that Rachel’s faith has put her by God’s side. Words cannot express my sorrow. As many others have said, Rachel was one of the kindest, nicest, and most polite and considerate of us students (present, past, and here all too long, with myself being dean of that last category) in archaeology and anthropology at SU. I remember her across the hall in Maxwell Basement, when we were both writing, and her looking around the door into the lab, to ask me “How many pages, today?” and “Well, write MORE!” She was able to make that point, but do it with kindness, which is a rare talent. I remember her giant bags of sunflower seeds, which she always shared. I remember returning from the Maxwell blood drive, and Rachel telling me–“Now, you are one with your trees.” Maxwell Mine (as she called the Maxwell Basement; we were underground, we never saw the sun, and the work never, ever ended) can never be the same. 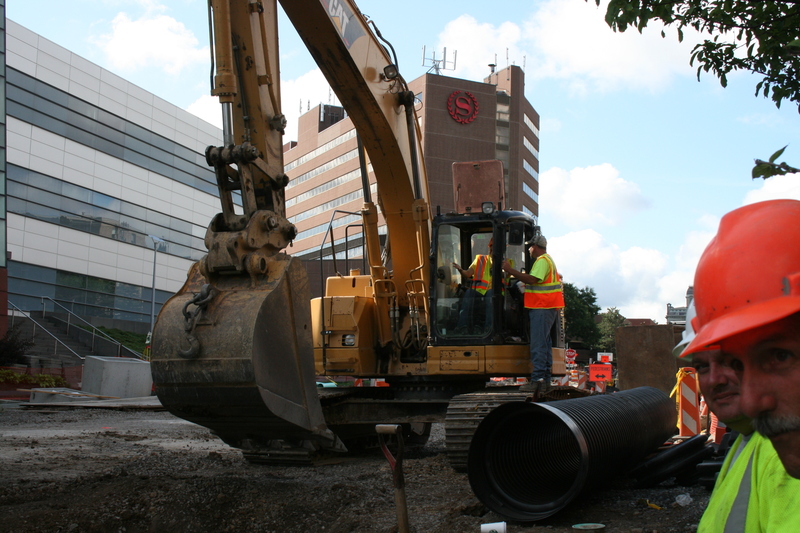 I was greatly helped (and impressed) when Rachel and Jessica Bowes took over “my” University Avenue project in the summer of 2011, when I had to depart abruptly for Connecticut because my father had pneumonia. CRM construction monitoring in a sewer trench was not Rachel’s thing, at all, but she pitched in, without hesitation, and made observations that I had missed. Rachel was one of the best archaeologists I have ever met. I was looking forward to seeing Rachel and Al at meetings, to reading her papers, and reading her books. I’m not an underwater archaeologist, by any means, but I was sure that I would double or triple my knowledge of this field, every time I read something that she would have written. Underwater, Africanist and Historical Archaeology will miss Rachel, and be all the poorer for lack of the work she would have done. This is a great, great loss. Not a picture of Rachel, but one of the many she took for the U. Avenue project in 2011. A good photographer, too, even without an ocean of water in the way! David, thank you for sharing this. On that same project Rachel convinced the backhoe guy (Dave, I think) to let her sit in his excavator! I know there is a picture of it, I presume on her cell phone, but she was so happy about it. She said she simply asked him and he let her. It’s not clear, but this picture (the one I posted) may be the picture of Rachel sitting in the trackhoe. It is labeled in the file as “R. Horlings directs backhoe operator,” a file-name I probably chose because we had to submit these photos to the client (SU). 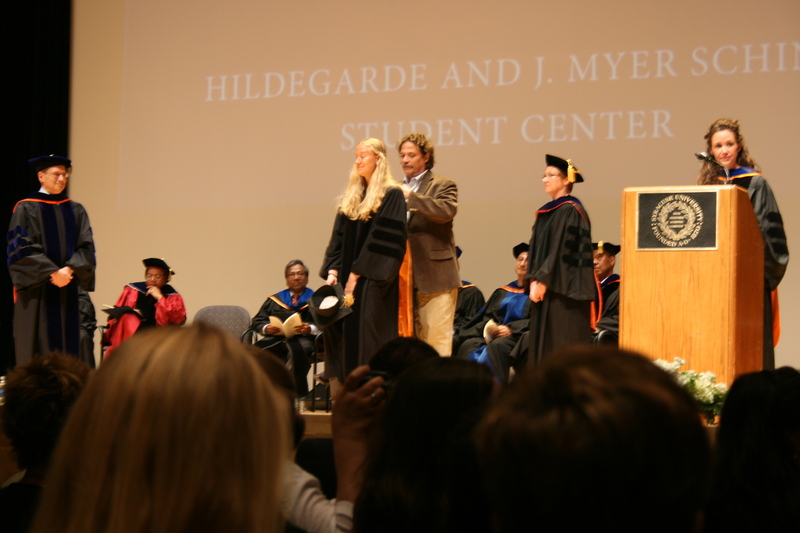 I think I have pictures of Rachel’s hooding ceremony, May 2011, as I was there to the same purpose. They may be on the original (1G) flashcard I used with my camera, before we bought the 4G card for the University Avenue project. The camera is now in Ct., where I have been photographing my mother’s doll collection for eBay. If I can find those photos (if I did not erase the flashcard), I will post them here. Hi David, I remember the seeds (I use to play with her saying it was bird food) and sharing the basement (also with you), where she kept her eyes on the magnifying glass. At the basement I met her the first time. She heard from her office Chris presenting me someonelse, and promptly came to ask if I needed some assistence, anything, such as a ride to the supermarket or a great list that I do not remember now. I remember the supermaket, because thanks to her rides I feed myself with real food and we began a great friendship. They say the eyes are the windows to the soul. I think I will miss Rachel’s beautiful eyes the most. Her eyes were indeed windows to the beautiful soul and spirit that made her so special. When she came to talk to you she focused her beautiful eyes completely on you. It didn’t matter how inane the news that you were sharing, you always had her entire focus. She made everyone she came in contact with feel special and important. She always listened and commented and asked questions. I couldn’t wait to see her at any of the family’s parties. When you spoke to Rachel you felt completely listened to, and completely cared about. It was like the world stopped and all that mattered was what you might say next. Rachel was beautiful and special. She was loved and she will be missed. It is a shame the light has gone from those beautiful lines. Thank God that light will shine for all eternity with our Saviour in Heaven. Rest in perfect peace Rachel. You will always be remembered and greatly missed. May God continue to comfort and strengthen us all, especially to you, her family. We have known Rachel and the beloved Horlings family since 1990. They have been contemporaries with us and our kids ever since our arrival in Jos in 1990. 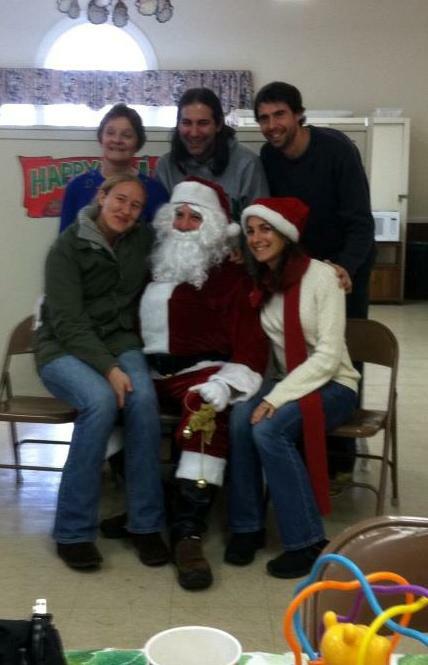 (Peter and Rachel were both in the Hillcrest class of ’97). Rachel was in the middle of this precious family and was always full of vitality and dynamism. Even at the age of 11, Rachel had a way of putting us all at ease when we first ate dinner with the Horlings. She was always confident talking with adults and asked many of inquisitive questions. God gave Rachel an inquiring mind and right to the end of her life she was still exploring God’s world. 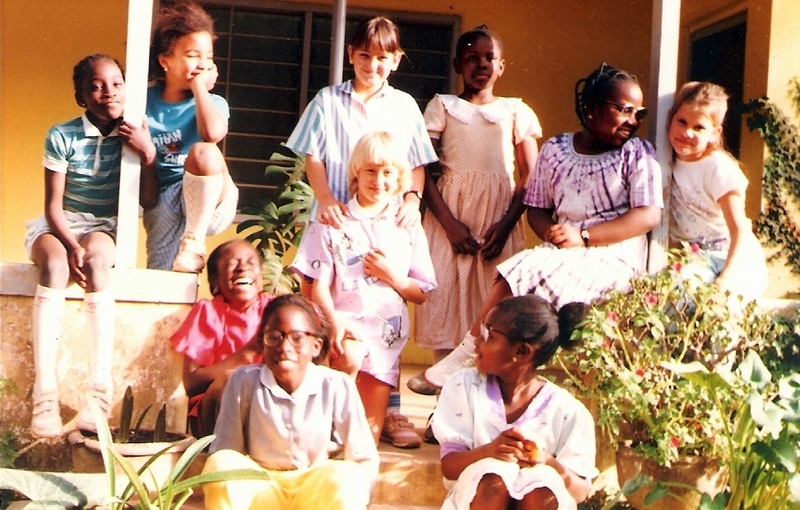 The last time I (Jean) spent quality time with Rachel was a few years ago when Rachel came back to Nigeria to visit. One afternoon she came round to our home on the CRC compound and we talked for a couple of hours. It was a delight to be with this attractive, vibrant, young woman. She talked about her passion for marine archaeology and delight in God’s world. She also talked about how much she loved the tropics and hated the cold of North American winters; a refrain common to many who have grown up in Africa. A couple of years later it was a delight to meet Al and Rachel together in Jos and see their mutual love for each other. They were so happy. Rachel packed a lot of enthusiastic living into her brief life and will leave an enormous gap in the lives of her family and many friends. The entire Garland family (Sid, Jean, Peter, Debbie and Anna) are shaken and greatly saddened by Rachel’s death. Our love and prayers are with Andy, Linda, Cal, Bryan, Sara and Aaron, and especially Al. May God give all of you his consolation and daily strength until we are all reunited at Jesus’ feet. May your soul rest in peace dear Rachel. God took you home too soon… May the great memories live on until we meet again. Allah ya ji kan ki. May God continue to bless the Horlings family and give you his peace. My condolences. I only met Rachel once, three years ago, but it was a memorable encounter. Bryan invited me to his apartment to grill some shish kabobs along with his sister, Rachel, who was visiting Knoxville to help Bryan recover from knee surgery. I was surprised when I met Rachel because she was quite different than the Bryan I had come to know. Physically, I didn’t think they looked at all like siblings, and their personalities seemed too different to be from the same family. Anyhow, Rachel and I had a delightful conversation that lasted a couple of hours. We spoke mostly about God, spirituality, and culture, and I found that conversing with Rachel was like being in the presence of a window to God that was framed by her own unique, life experiences. Clearly, Rachel loved God, and she had a lovely soul. Although we spoke for a couple of hours, we never even discussed her childhood in Africa or her work for which she had such passion. After listening to the interview in Ghana about her work in marine archaeology, it is clear that not only was she passionate about her work, but very accomplished as well. What a tremendous loss to her field and her close-knit, professional community. In reading these posts, I am in awe of the impact that Rachel has had upon those around her. Christ said that we are to become like children – and Rachel had the special, child-like perspective that allowed her to see the world clearly, and to be in the world but not of the world. I think these qualities are what enabled Rachel to have such a positive influence on the world around her. Selfishly, I will miss not having the opportunity to enjoy once again the window to God that Rachel offered to everyone. For those who knew Rachel, I suppose one could become disheartened and focus on all that will be missed. However, on the other hand, we can cherish the opportunity for having known her, and celebrate all that we had. And to Al, who has suffered the greatest loss, I was very comforted by the personal stories that you shared about your relationship with Rachel. Nothing said more about her character than the fact that she would endeavor to not let the sun go down on her anger. There isn’t a better illustration of an individual’s love for God. I can see that you had a beautiful relationship, and I hope to one day meet the man who changed Rachel’s personal desire for marriage. I first meet Rachael in the map room of Syracuse University Library. She was searching for maps of Africa, but struggling a bit with her cast and crutches. What spirit though! She was cheerful and good humored, undaunted by the setback. As I came to know her over the years, I was always warmed by her light whether it was meeting her on the street or at the library. I never dreamed when she came in to see our new Ghana maps that it would be the last time I would see her. My heart goes out to her parents and husband. Rachel usually left her door open and when I would tromp up or down the steps I came to expect to hear her say “Karen is that you?” and then pop her head out to ask me how I was. 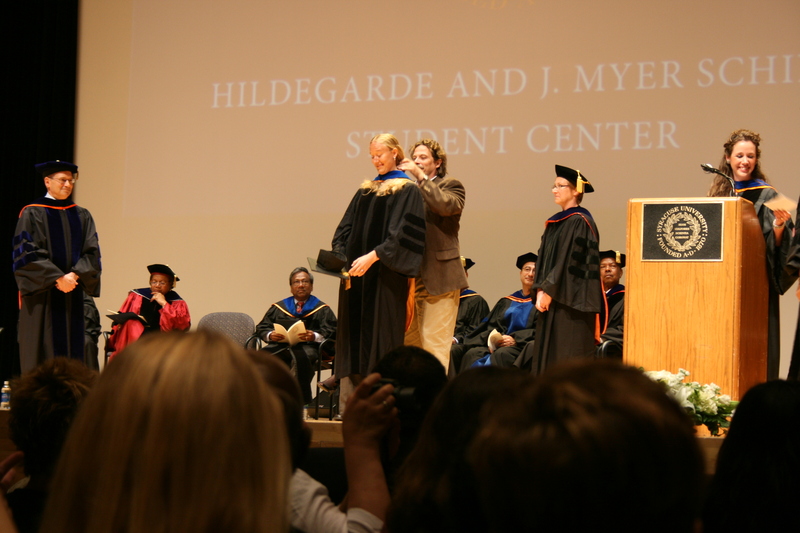 We shared the ups and downs of graduate school life and teaching as adjuncts. She was ever an optimist and saw the best in situations and in people and brightened many a grey day for me. She didn’t like the cold and so was always happy to turn the heat up when I was cold upstairs. So when the weather got warm, Rachel was outside as much as she could be, sitting on the front porch, working in her garden, or even lying in the bed of her truck if that’s where she could find the sun. She was a friend to all and knew the names of everyone who walked by the house and always took the time to talk to people and find out about their lives. We both liked to garden and so we shared seeds and stories about our plants. She once planted a bounty of basil for Al, even though she couldn’t stand it herself. Basil, along with raisins and beer, were included on her list of vile and despicable foods. Although always curious, she was even willing to try two types of pesto I made with her basil and even said that it wasn’t half bad. She would often invite me to share spirited conversation, laughter, and meals with her and Al, whether it was her leftover Thanksgiving turkey soup or lasagna. Other days I would find a small harvest of vegetables waiting for me at my door. Rachel is someone you could always count on. When I awoke from a nap one afternoon to find a bat sleeping on me, I immediately called Rachel because I figured she would know what to do. Fearless as usual and making fun of me for hiding in the bathroom, she came up right away to catch it for me, concerned that the bat might be hurt after flying straight into my kitchen window when I screamed in terror. When I thanked her, she gave me a big hug and then thanked me for giving her a good story. Rachel is a beautiful soul with strength of spirit that brought and continues to bring much love and light to this often dark world. She always told me that she likes a good story and was disappointed when her students had no good stories to share in class. She has given us all so many good stories and memories, and when the snow melts into spring flowers and the skies warm into shades of blue I will expect to find her sitting on the front porch basking in the afternoon sun, chatting with the neighbors, and chewing on unshelled sunflower seeds. I miss her already. These are wonderful Karen. You did give her some good stories, the bat and the break in, and she did tell them. I loved reading these. meters, and I was impressed then with how hard she worked at it. Now all these years later she had taken that same dedication to her work. This is a tragic loss. Our love and sympathy go out to the Horlings family. I had regular lunch dates with Rachel and Meredith (Ellis). Just a time to catch up and check in with each other. I looked forward to these dates, and loved receiving an email from Rachel with the something like “Lunch on Friday?” or “tea?” While the location for these dates varied some, Rachel very much detested our most frequent spot, Eggers cafe (on the SU campus). She insisted (although I still don’t believe it) that when you left the smell of toast would linger on you! She hated that toast smell! That toast smell. I won’t be able to eat in Eggers again without thinking about it! Yet I’ve never smelled it myself. Also, who will I make fun of for dumping fourteen packets of sugar into tea? I don’t know recheal but i am feeling her death as a missionary.there is still hope for the family so let us not weep like those without hope.the giver of recheal has taken her.surely God will fill the vacums she left behind.may God console the family of recheal and replace her back in the mission field. I last connected with Rachel back in January just before she left for Ghana. I emailed her an article about the sinking of a Civil War Confederate submarine . Of course it was just a thinly veiled reason for my wife Blylee and myself to reach out to Al and Rachel two people who we dearly love. Rachel entered our lives through the generosity of her heart and her grandness of spirit by befriending an elderly woman in need who happened to by my Mom. Through an amazing series of events she ended up living with my Mom (Shirley), bringing a breath of sunshine into all our lives and forever creating an everlasting bound. We live in New York City but I never ever return to Syracuse without first checking in with Al and Rachel. They have become the gatekeepers of my childhood home, a reassuring presence to let us know all is right in the world. Rachel we will miss you dearly. We wish your family and friends peace in their hearts. I replied that I would, and then signed off saying “Have a great journey”. Dearest Rachel, Have a great journey and we will definitely check to make sure Al is well. Rachel and Al came over for a cookout. Nico loved Rachel and kept persisting that she play with him on his tire swing. While the two of them went out to play, I glanced up and saw them both standing on the tire swing going as high as Rachel could swing it while on it! She then go off and just pushed Nico – but pushed him so high he hit the tree! He didn’t fall off, but they both thought it was the funniest thing that ever happened. After that, anytime I would push Nico on his swing he would ask to hit the tree because “Aunt Rachel does and she’s fun”. Rachel was also incredibly intelligent. She invented a new way to test/survey an underwater archaeological site using pvc pipe and a few other things. We talked about it at length and I asked her a ton of questions and finally said “This is amazing – if you patented it, you’d make tons of money ya know.” She laughed and said that the whole point in making it was to do it in a way that anyone could do it, anywhere, and use it successfully. She gave herself in so many ways. One of the great things about scholarship is that a few of her ideas, knowledge, and innovations can continue on, contribute, and challenge others forevermore. Finally, I shared an office with Rachel and while I won’t share one memory of it but will just say that we talked about everything under the sun, from our work to our philosophies and beliefs and our relationships with other. It was awesome. It’s wonderful to read these Amy. Whenever Rachel came out to Colorado to visit her Grandparents and brother we would make a point of trying to see one another. 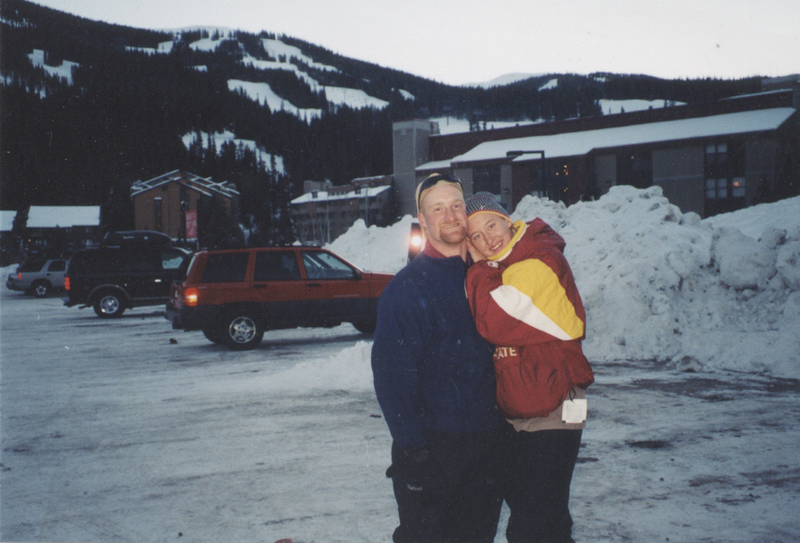 This is when we went skiing. She actually failed to hurt herself this time, which we both thought was amazing. She was a very good friend. I miss her more than the sun rises in the east and sets in the west. Rachel always went well and beyond to help my mother Shirley Saiger, to park my car for the winter, to pick me up from the train station, to rush to my mother’s house in an emergency when I was miles away. She was too good to be true, right from the start, when she appeared on the scene out of the blue as if an angel. And then when she brought Al into the picture, there were two great friends for all of us. We would never visit Syracuse without spending a night with them for dinner. She was beyond special. One of a kind. We were all lucky to have her–for far too short a time. minute hugs where she really embraced and squeezed her love into you. 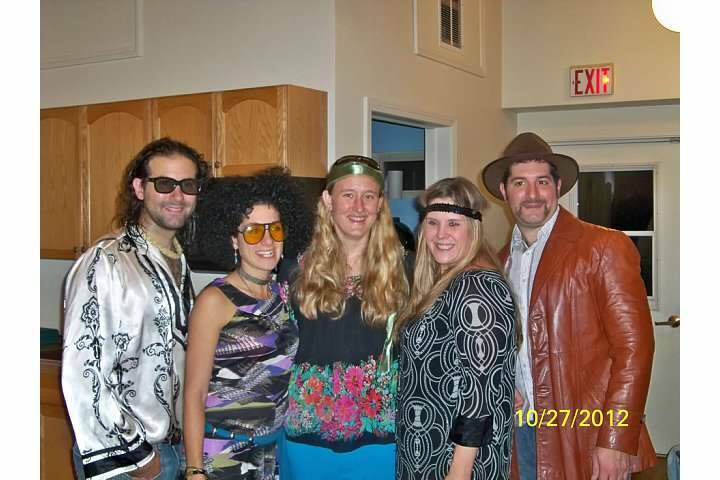 I love this photo from our recent Halloween 60’s party with Rachel in the middle! I am so thankful for how she has touched my family. Rachel gave the best, real hugs! This is one of my favorite photos ever. It captures so clearly why Rachel had such an impact on people. She looked deeply, with profound kindness. This photo reminds me of when Rachel would ask how you were & when you responded you were “fine”, she’d look directly into your eyes & say: “Convince me!” That was so Rachel-direct, caring, sensitive to others, insightful. Words feel inadequate to express the depth of sadness and profound loss that my heart has felt this week. Sorrow laced with gratitude for such a beautiful, vibrant and wise soul – a soul with a tremendous capacity to live and to love. To really see the details of the world around her, to stop and look more closely, to genuinely care, and to act fearlessly from a place of compassion. And deep gratitude for the gift of walking side by side with this precious soul for so many years. 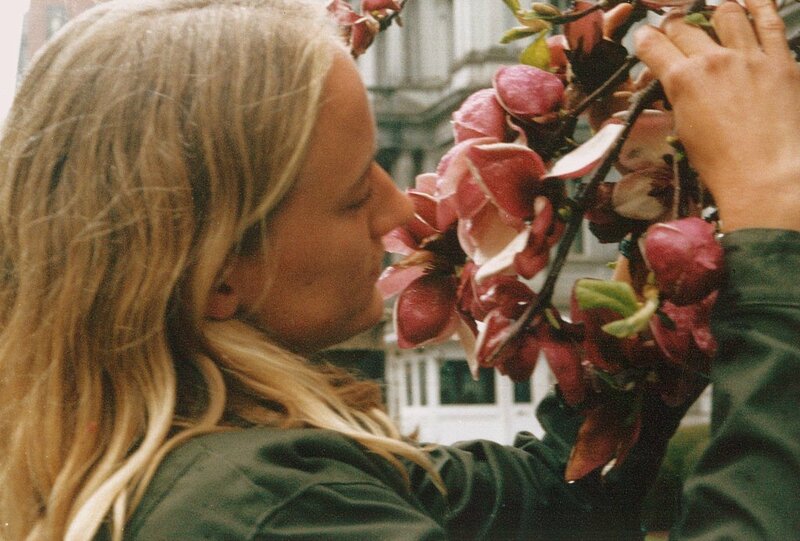 Growing up in a world where relationships were the fabric of life, Rachel had a profound impact on so many of us whose lives were intertwined with hers. It is difficult to put this into words, but we have all been shaped by each other in rich and unquantifiable ways. Challenging each other, watching and learning from each other at so many poignant stages of our growing-up journey, creating ridiculous escapades and contagious laughter, tasting the sweetness and complexities of our lives arm in arm, and then offering each other a solid and unchanging foundation when our world capsized and life swirled around us. Hearts linked together in lifelong friendships. I find some solace in realizing that Rachel’s bright, laughing and unshakable spirit continues to live in all of us who have been impacted by her in the very core of our being – and in all who have known and loved her since. She truly embodied what it means to love God with all your heart, soul and mind and to love your neighbor as yourself – considering just about everyone she encountered as her neighbor. And I feel she is still challenging us to love God as she did. To let an infinite measure of love and compassion and grace flow out through us to whoever we encounter as we go about our days. To allow ourselves to live with the child-like wonder and exuberance that she did. To never forget where we come from, as we hold our true friends with both hands. And to enjoy the richness, joy and sense of abundance that comes from living life in this way. She knew this secret well. Ladi reminded me that one of her Crest quotes was: “May you live all the days of your life.” It goes without saying that she manifested this wisdom. Fully present, transparent, open, receptive, generous, brave, passionate and truly greathearted, she lived every single one of her days.